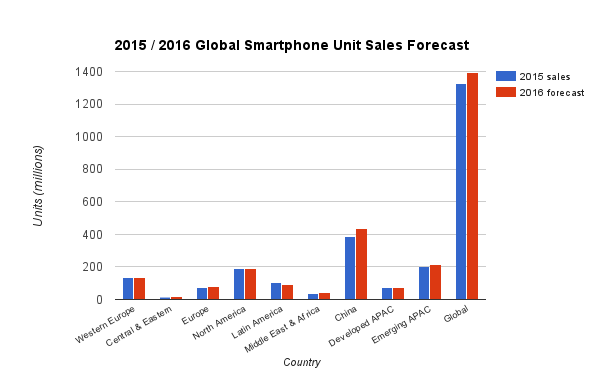 Analysis of the latest smartphone sales trends has prompted GfK to upgrade its forecast for the year. Full year global smartphone sales value in 2016 has been increased from USD $400.7B to USD $426B, up five percent year-on-year. The cause is strong sales of mid-range to high-end units which has reversed the previous trend of low-end (<USD 100) share gains.